As it was decided that members of TSKC wishing to take their Shodan grading should also take a written exam as well as the mandatory practical assessment, we thought it only right to provide the information that might be used to formulate the questions in the website. 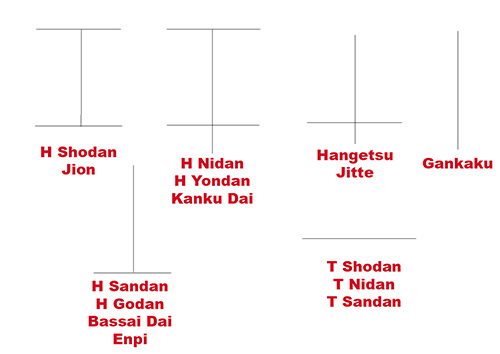 To these ends, the exam is based on information that EVERY JKA DAN grade should know. Below is a compilation of information that will assist you in passing the exam and ensure that you become a competent and knowledgeable DAN grade. This is information useful for every karateka. Use the following links to access other relevant information you may want to research. The kyodo numbers of a kata relate to the actual count for the kata. 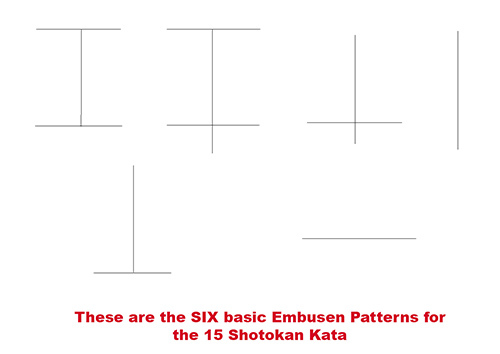 You should know the number of moves in each of the Heian katas; Tekki Shodan and Bassai dai together with the numbers of the moves for each Kiai. Please note, when this video was compiled with Sensei Enoeda, the 'Kiai' points were kyodo #'s 9 and 28. Since then JKA Honbu have changed and the 'Kiai' points are as shown in the Chinte panel. Oss!